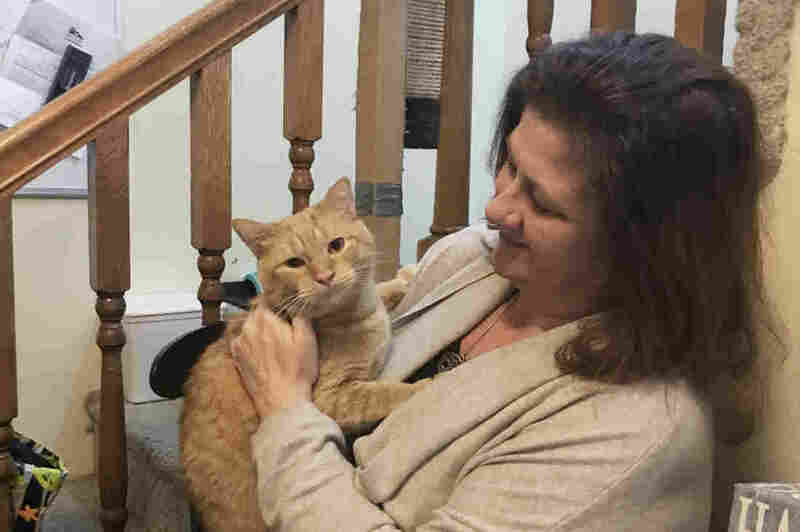 Anguished Families Shoulder The Biggest Burdens Of Opioid Addiction Nationally, the economic toll of the opioid crisis is in the hundreds of billions of dollars. For families of addicts, the losses can include their life savings, peace of mind and a sense of hope. Katiena Johnson stands with her daughter Destini, who was released from jail in August. Katiena and her husband, Roger, took care of their grandchildren while Destini was struggling through her addiction. 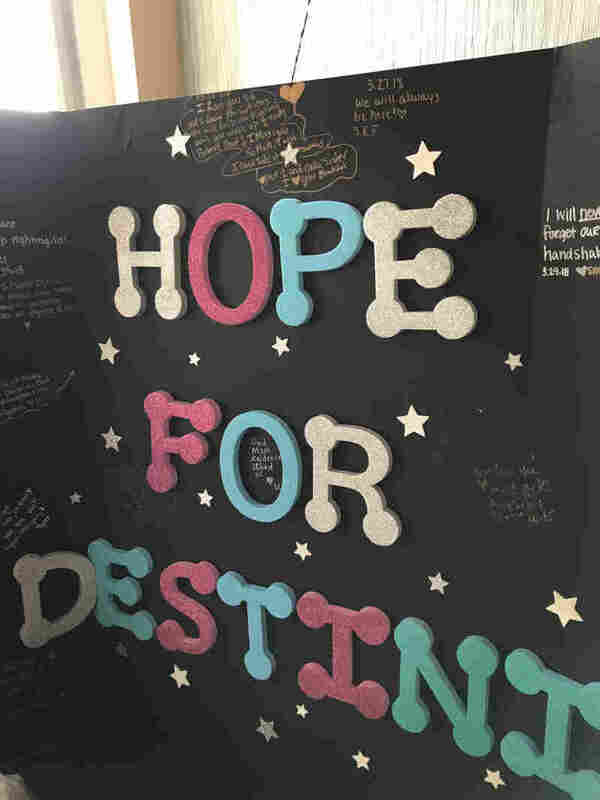 Destini, 27, recently regained consciousness after suffering a dozen or so strokes as a result of her latest opioid overdose. Eight months later, Johnson, 27, lay in a coma, silent except for the beeping of machines. She looked small and pale, buried in a tangle of hospital bedsheets and tubes, after suffering a dozen or so strokes as a result of her latest opioid overdose. 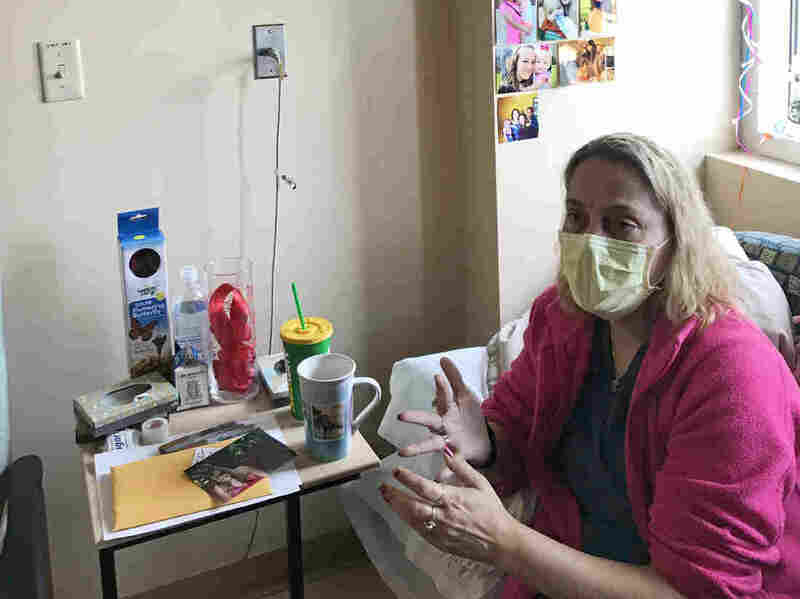 Her mother, Katiena Johnson, kept vigil at the intensive care unit at Ball Memorial Hospital in Muncie every day, fretting not only about whether her daughter would live, or how much brain damage she'd suffered, but also how to pay for the myriad costs resulting from the latest harrowing chapter of Destini's opioid addiction. Katiena Johnson says her daughter is regaining consciousness and is out of the ICU. Katiena Johnson kept a daily vigil by her daughter Destini's bed, and hung photos of Destini and her two children. "Her troubles just kept piling on top of one and the other and the other and the other," she says. "They just bury [themselves] deeper and deeper in cost after cost after cost, of court costs and everything else." There are many different types of costs associated with the opioid epidemic: including emergency response, health care, criminal justice, rehabilitation and lost productivity. It's no wonder the total estimated burden from the epidemic is enormous. Health care research firm Altarum put the figure at $1 trillion since 2001. The White House Council of Economic Advisers estimates that, including lost productivity because of opioid deaths, the total economic cost from the opioid crisis reached $504 billion in 2015 alone. The biggest share of that burden is borne by families — who measure the damage not only in financial terms, but in terms of anxiety and heartache. When I met Destini Johnson's parents last summer, they talked about missing days of work to drive their daughter to rehab or treatment, delaying retirement to pay for the additional costs, and caring for Destini's two young children. By that point, their daughter's addiction had already spun off a string of dramas, including prostitution, homelessness and an arrest on drug charges. Katiena Johnson expressed deep frustration that rehab programs were too few and too short-term, and — after several failed attempts — had become far too expensive for the Johnsons to afford at about $50,000 a month. Now, if Destini lives, she will require intensive, expensive long-term nursing. Her mother hopes state insurance will foot the bill for the weeks-long ICU stay. Still, the bills could outlive Destini. "I got a call from ... a collection agency, and I hate getting stuff like that while she's in this condition," Katiena Johnson says. "The second day she was in here, I got a court paper rolled up on my door for damage at some kind of apartment complex." In all the discussion about the cost of opioid addiction, Johnson says, there are few words about the toll it takes on families. Multiply the Johnsons' story by about 143,000 opioid-related overdoses and 42,000 deaths across the country per year, according to the Centers for Disease Control and Prevention's latest data, and you get a sense of the damage ravaging families and their finances. And it shows no sign of abating. Overdoses surged 35 percent in Indiana from July 2016 through last September and have become the leading cause of death for Americans under 50. Michael Hicks, an economist at Ball State University in Muncie, compares the epidemic to a war — those who survive can remain scarred for life. The economic loss can be measured in paychecks not earned, absent parents not coaching soccer, and careers cut short by a criminal drug charge. Hicks says it will likely require more money — government funds and family resources — to address. Congress has approved $6 billion in funding to respond to the opioid epidemic over the next two years. "I think we're looking at a fairly grim period of investment to try to solve a problem that we're going to still have around for some time," Hicks says. When a person dies, they don't just leave empty space for the family, he says. That loss can be measured in economic terms — lifetimes of lost earnings and the loss of what victims would have contributed to their families and society. The White House's estimate of a half-trillion dollars in economic impact represents a best guess as to what a person's life might have been worth, multiplied by the tens of thousands of lives diminished or abruptly ended by opioids. For Melissa Sexton, it misses the most important loss — of joy and hope. "And now we are left with this huge, gaping void in our life, in our family, trying to figure out: How are we supposed to move on from this?" she says. Her daughter, Kathryn, or Katy, died on Halloween. She was 23. Katy Sexton was tall, poised and beloved by the regulars at Road to Redemption, a weekly recovery meeting at the Tabernacle of Praise church in Muncie. In an interview last August, she talked unflinchingly about death, and of losing most of her high school friends and her college scholarship to addiction. "I don't want to go to any more funerals," she said. She had been sober 30 days and said she intended to remain that way, in part to free her parents from constant worry. "It stresses them out every single day," she said of her opioid addiction. I had kept in touch with Katy, texting about her treatment, and plans to meet up again. But in September, she stopped responding. I kept texting until, in early November, her mother texted back to say Katy had died. 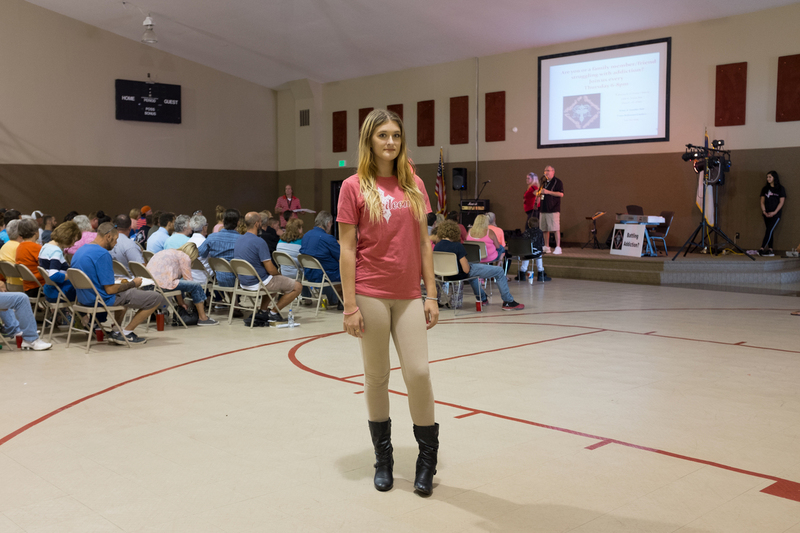 Katy Sexton was a regular at the Road to Redemption recovery support group meetings in Muncie, Ind. She died on Halloween 2017. The five months since have done nothing to diminish Dale and Melissa Sexton's grief. Between sobs, her mother recounts how a mundane day of grocery shopping and making coffee suddenly turned tragic. She discovered Katy slumped in her bed. In a tiny town outside Muncie, the fire station is around the block. The medical personnel are friends. For more than an hour, they tried to revive Katy. The coroner said he found traces of fentanyl, the powerful synthetic opioid, in her system. Her parents say Katy had been trying to fill a prescription for medication to blunt the drug cravings. But insurance required a waiting period. 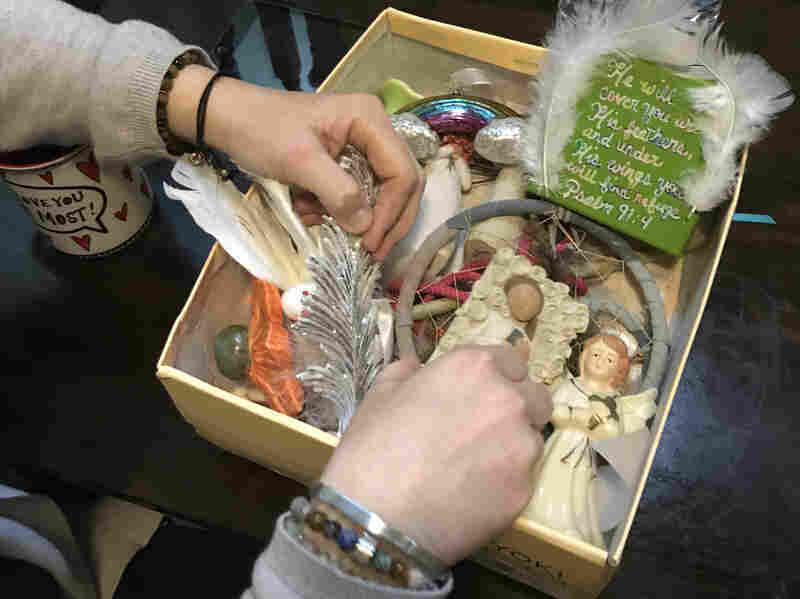 Melissa Sexton says she cannot bring herself to enter Katy's room, but occupies herself collecting mementos in a box, including photos and items that played parts in cherished histories, or inside jokes. Mementos and Katy's cherished items are kept in Melissa Sexton's "Katy boxes," including references to Katy's favorite movie, Forrest Gump, and a porcelain angel she kept by her bedside. Talking and thumbing through 23 years of Katy's life, the Sextons tabulate, in a sense, all they have lost: innocence, laughter, a future with grandchildren, a cellist, and a daughter who wanted to become a nurse, so she could help care for her severely autistic brother, Jacob. The financial loss, on top of everything, they say, is another source of despair. They drained their accounts to try to save Katy. Now they're left with feelings of failure and self-recrimination. "I don't know what would or could have made a difference. I just know it was my responsibility, and I didn't meet it," Dale Sexton says, sobbing. His wife turns to him, trying to reassure him that he had, in fact, put everything on the line. "Honey, you cashed in your last pension [check] so that we could send her to rehab," she says. "At every turn, we did everything we could to the expense of our family's well-being to try to save her." The Sextons are still trying to tie up the loose ends of Katy's financial life: student loans, bills from Katy's stay in rehab last year, her cellphone service. "Last time I got a collection call from rehab saying, 'We still need this much money,' I didn't send them a check; I sent them a death certificate," Dale Sexton says. These are the cruel practicalities he tries to spare his wife, going to the mortuary to make cash payments, for example, so that she never sees the paper trail. With so many young people all around the Sextons dying from opioids, Dale Sexton says it's no wonder treatment can be so hard to come by. "The problem has outspent the resources. You know, the problem has far outraced the resources," he says.